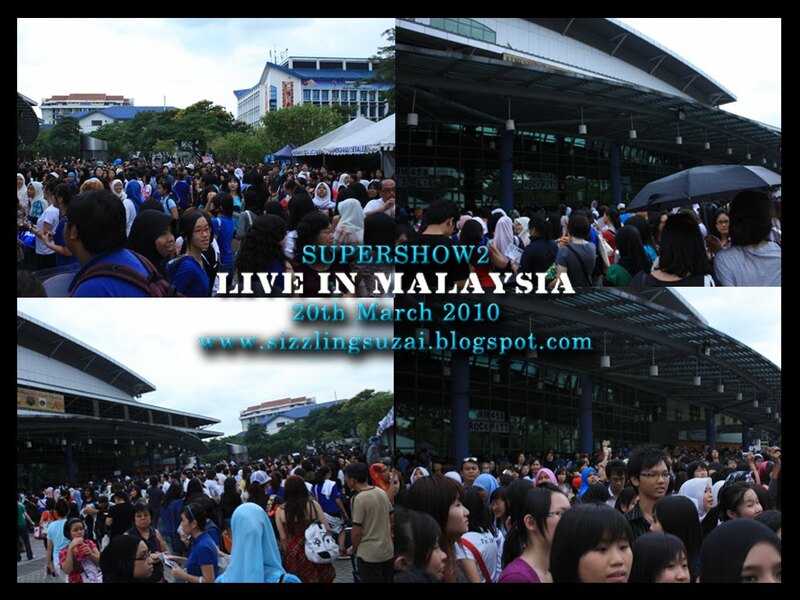 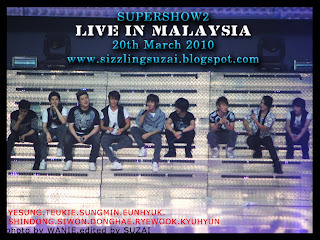 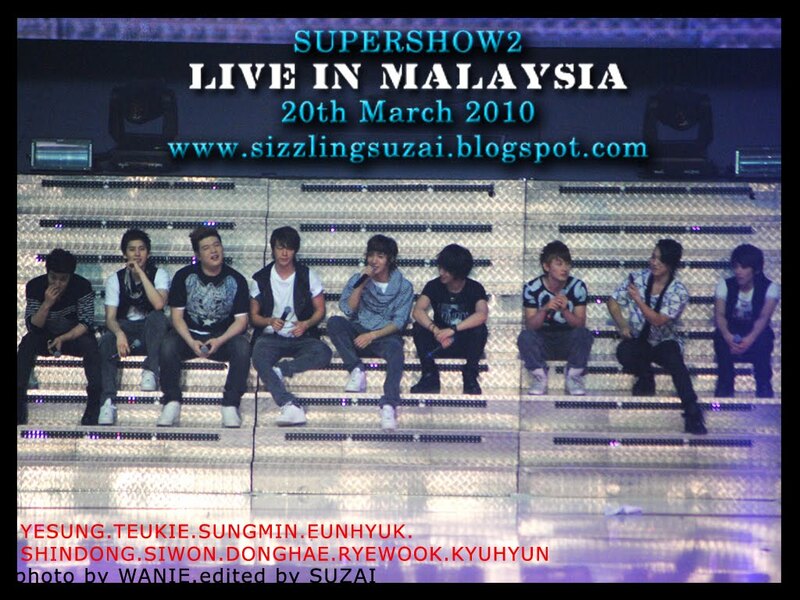 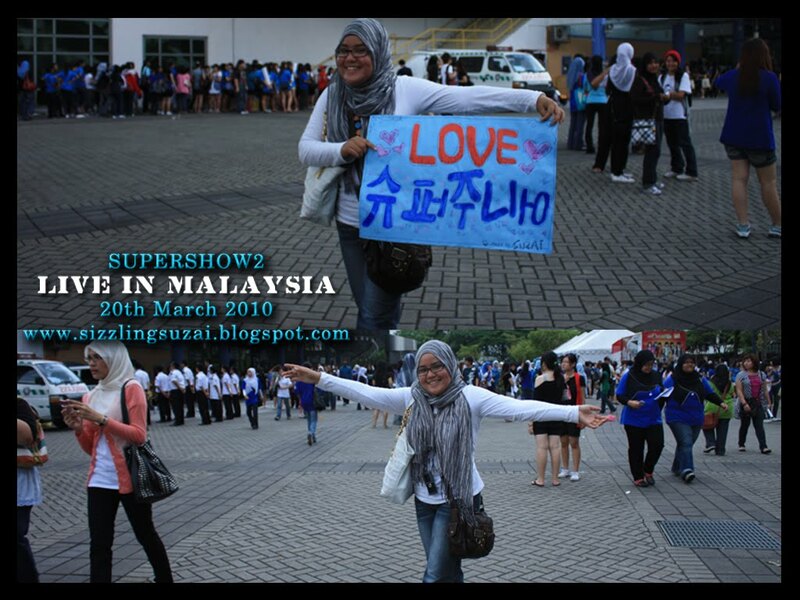 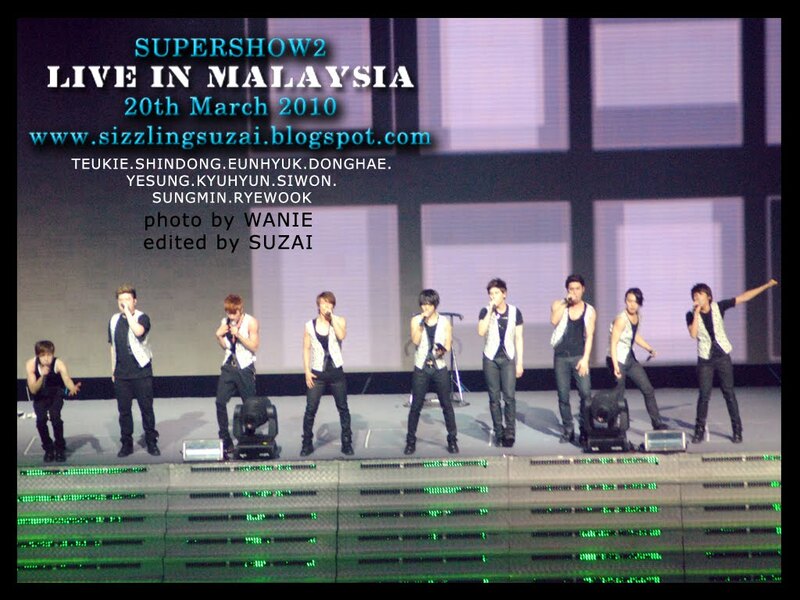 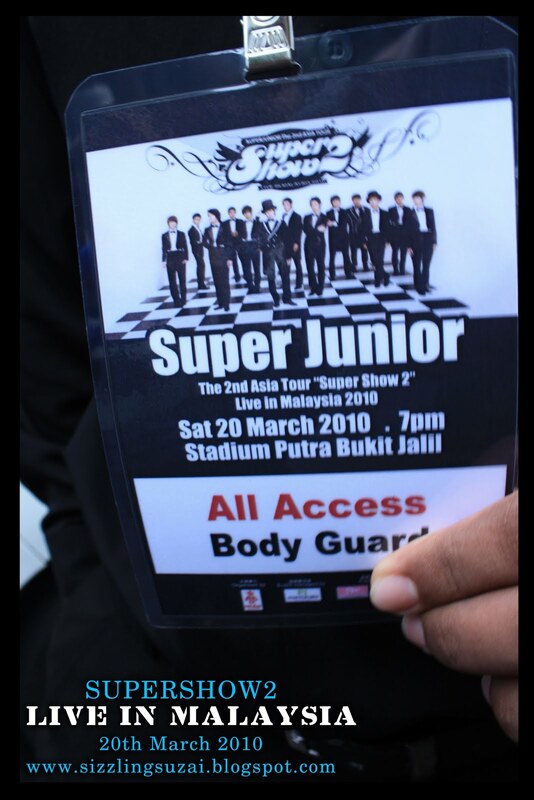 im so0ooo excited coz finally the SUPERSHOW of the top IDOL group from KOREA was held here in MALAYSIA..
well, actually we (malaysian ELF) have been requested SUPER JUNIOR's concert long time ago but only this year there is an organizer willing to teke the responsible..
it told you that the concert was full of emotional..
every minute n every second we've been screaming..
warghhh till i lost my voice..
deh~ we are the FANATIC FANS of SUPER JUNIOR! 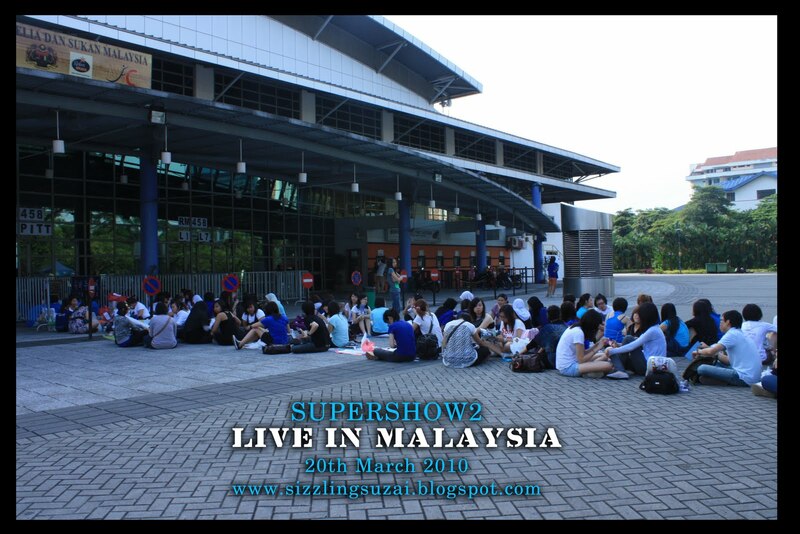 so these are the photo that originally taken by me n my friend! 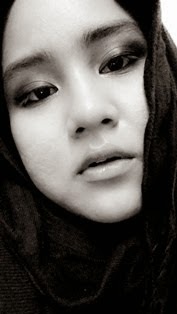 abg Body guard 'gabak' punyer tag..punyelar 'gabak' pi berdiri tol depan akuh nih dah lar pendek jek..HAMPEHHHH...nyampah teros cam *ngong jek pic stalker tuh!! They all started Q-ing in the front of the ROCK PIT entrance at 1a.m yesterday..
wahahahahaha soo00oo FANATIC huh?! 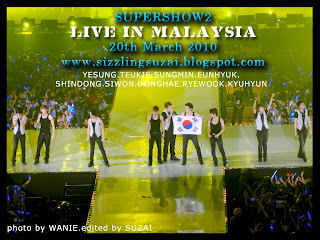 hehehehe me too.. 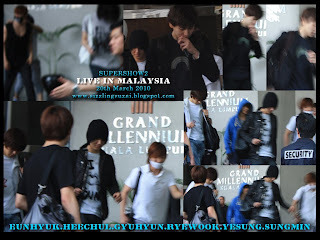 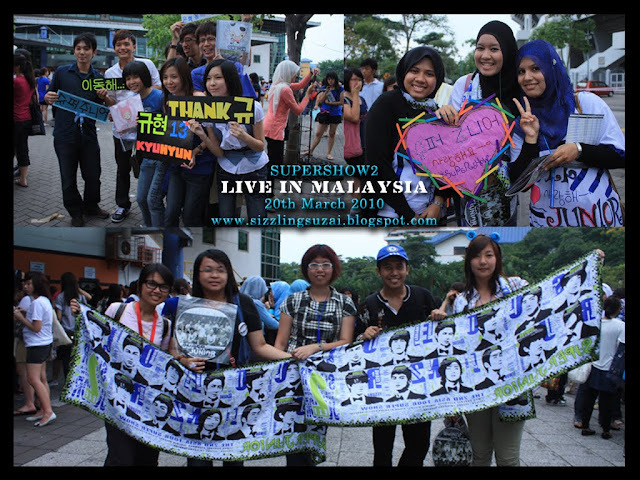 The ELF here in MALAYSIA..
these were taken at the Grand Millennium Hotel K.L before the concert.. The introduction of the members..Teukie oppa was given the opening speech..
the SUPER JUNIOR KRY + Sungmin lead the vocal aspect..
the fan gave the KOREA flag to them..yeahh we LOVE SUPER JUNIOR we LOVE KOREAN!! guys..u've done a GREAT GREAT GREAT job here..
im really satisfied with the INVESTMENT i did! 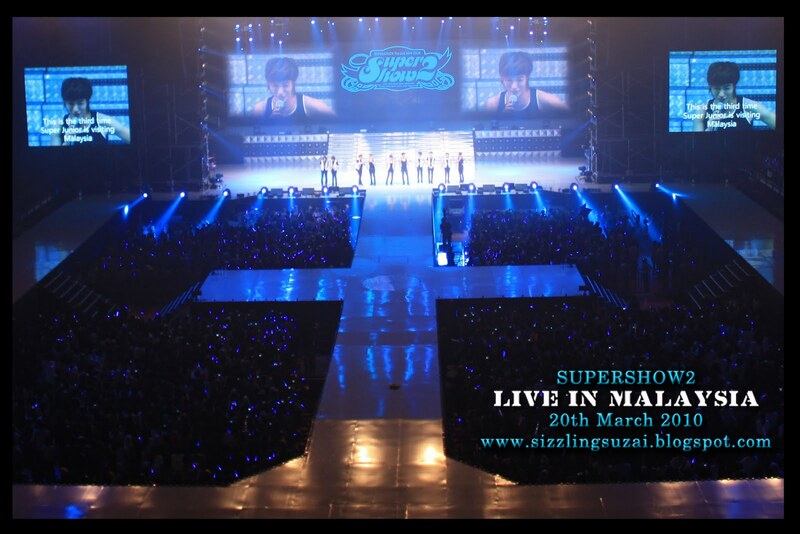 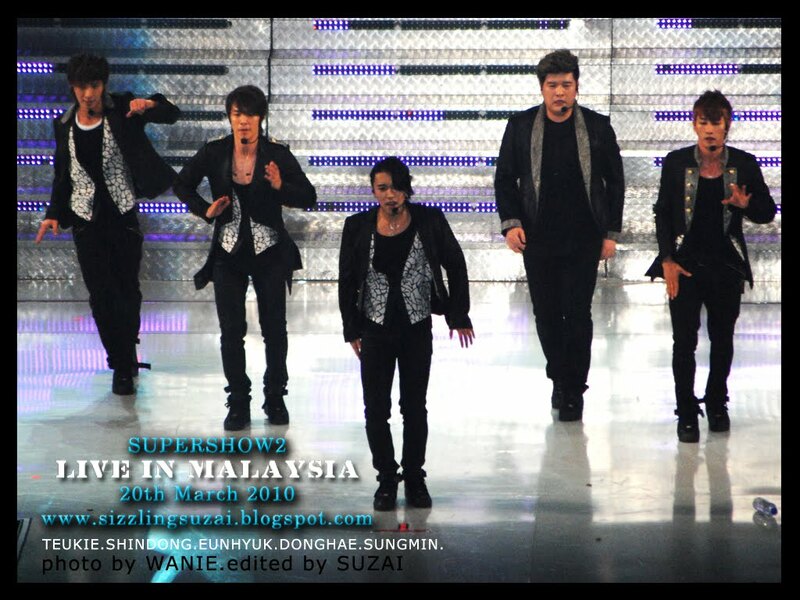 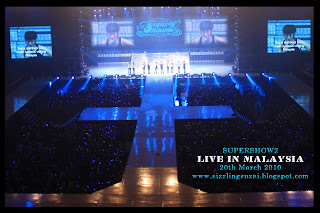 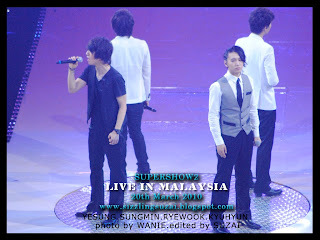 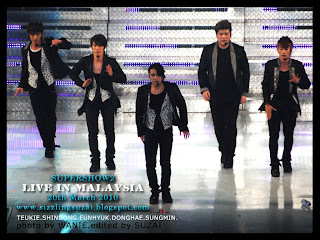 oppa, come back 4 the next next next SUPERSHOW okeyh..